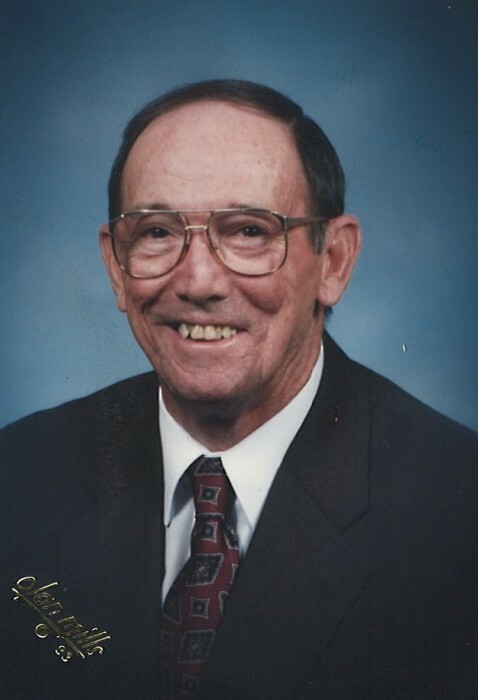 Obituary for Homer L. McCabe Sr. | Donald R. Crawford Funeral Home, Inc.
Homer L. McCabe, Sr. age 94 of Hopwood, PA passed away March 20, 2019 in the Uniontown Hospital. Homer is the son of the late Homer O. McCabe and Blanche (Minerd) McCabe. In addition to his parents, he was preceded in death by his first wife Sarah F. (Field) McCabe and eight brothers and sisters. Homer is the last surviving member of his immediate family. He is survived by his wife Maxine (McCormick) McCabe; his children Homer L. McCabe, Jr. (Sandy) of Hopwood, Pa, Jeffrey W. McCabe (Kathy) of Uniontown, Pa; his step-children Chris Basescu (Monica) of Nashville, TN, Scott Basescu (Joni) of Uniontown, PA, Steven Basescu (Shelly) of Severn, MD, Lee Ann Rice (Tim) of Hopwood, PA; his grandchildren Allen McCabe (Michelle), Cheryl McCabe Yeardie (Scott), Amanda K. McCabe and fiancé Grant Wynia, Matthew J. McCabe (Angela), Aaron Basescu (Elise), Todd Basescu (Hannah), Kate Basescu Dowell (Paul), Ryan and Claire Basescu, Blake Basescu, Anne, Emily, and Timmy Rice, and his great-grandchildren Patrick McCabe, Oliver A. McCabe, Mason and Max Dowell, and Sawyer Basescu. Homer served in the U.S. Navy during WWII in the South Pacific. He was a member of the following: Amvets Post #103, Hutchinson Sportsman’s Club, Asbury United Methodist Church, Laurel Lodge #651 F&AM, the Uniontown YMCA, and Uniontown Lodge of Perfection and P.H.S. Consistory. He was also a member of the Plumbers and Pipefitters Union #354 and owner of McCabe Plumbing and Heating. Friends will be received in the Donald R. Crawford Funeral Home Hopwood, PA on Friday March 22, 2019 from 3-8pm. Funeral Services will be held at the Donald R. Crawford Funeral Home on Saturday March 23, 2019 at 10am with The Reverend Donald Henderson officiating. Interment will follow at Green Ridge Memorial Cemetery Connellsville, PA. In lieu of flowers, contributions may be made to either the Uniontown YMCA or Asbury United Methodist Church.